Composer, producer and an a voice incredible that he was rewarded with numerous awards, which includes 25 million albums sold and eight Grammy Awards. 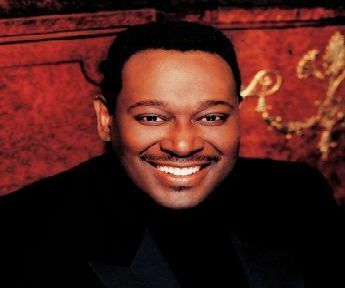 There is no doubt that Luther Vandross is a gift for black music in recent decades. Roberta Flack was that pushed him to develop his musical career individually. She believed in his talent, and everything else came rolling through your vocal instrument, one of the most perfect harmony and musicality to create the songs. His tenor voice was soft and velvety, full of depth and always melodious. A voice in perfect pitch to reach a climax especially in the ballads, but also a voice that can adapt to any need, being a delight to open the senses and surrender to his spell. His health problems among which are included diabetes, hypertension as a result of steadily rising and falling weight, and a final and definitive ailment, a stroke that ended in July 2005 with his live, depriving us of a new again other people with unique privileges to make us enjoy the music. His voice was generous in nuances, while generous with friends. 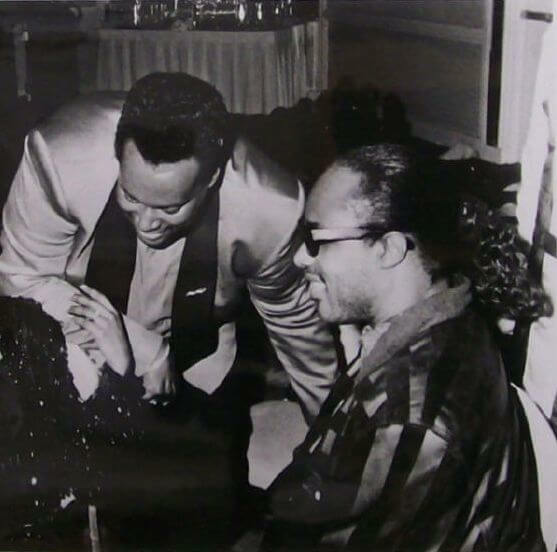 Friends like Stevie Wonder who shared admiration, and numerous collaborations. His voice is still vivid in my memory in one of the themes of In Square Circle, year 1985. It was "Part Time Lover", one of the songs promotion of the album, where compacted and defined voice humming the chorus of the song. More collaborations as in "That's What Friends Are For" with the missing Whitney Houston, Dionne Warwick, and the same Stevie. A Tribute to Stevie Wonder in 1987 together to Dionne Warwick. Several interpretations of Luther with songs by Stevie as "Knocks Me Off My Feet" and "Creepin". Stevie collaborating on albums by Luther as in the song "I Know" and of course, the tribute of Stevie Wonder -along with Beyonce- playing "So Amazing". A wonderful ballad which won a Grammy for best collaboiration vocal or duo. On the brink of seven years of his death, his memory becomes latent. His funeral accompanied by great friends, into of theeir was a blue Stevie Wonder fired with deep emotion to Luther Vandross performing "I Won't Complain". Quite a classic gospel honors one of the great figures of R&B. Although they are sad memories, I prefer to give more importance to a moment much happier. That happened on April 20, 1951. In fullness of spring, and one of the best places in New York, Manhattan, pass one of those moments that have served years later to enrich our soul through music, the Luther Ronzoni Vandross's birth. A singular talent in a only figure with vocal qualities hard to forget. His memory will never be extinguished, there will always be a place where we need to feel the caress of sound by his elegant voice.